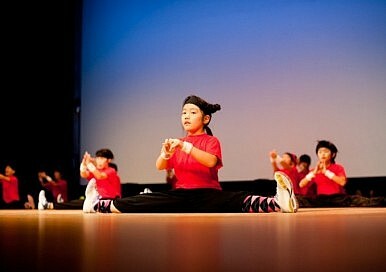 A Japan youth performance project offers an alternative way of boosting young people’s self-esteem. Following is a guest entry by Michael J. Di Stasio, the producer of an interesting youth project I’ve come across called Rock Challenge Japan. iPods are only the latest portable music devices in recent decades to seem like a permanent fixture in the ears of young people. So, are most of them listening to the news? Talk-back programmes or something with a social, political or economic slant? I think not. From Buddy to Beyonce, rock has been a sanctuary for the young to escape to. Japan has been no exception, and is one of the world's biggest markets for the genre, while the Japanese schoolgirl is considered the ‘engine’ of these consumers. And with the unfolding crisis following the earthquake and tsunami, now seems as good a time as any to be here trying to give young people something to be positive about. Rock Challenge is a youth performance project that was established 31 years ago in Australia. With a presence in seven countries, the project has brought close to 1.5 million children onto the stage. The project’s mantra is encouraging social change through the arts. But getting people to understand what a Rock Challenge is, and how it delivers, isn’t easy. A Rock Olympics is maybe the best way of describing it, with schools competing for a range of awards. The project is basically a ‘mini musical mime’ or ‘dance dramatisation’ of a story set to an 8-minute, self-designed soundtrack. The project defines rock pretty broadly—anything from classic rock and pop to soul, blues, musicals and soundtracks (with some extra sound effects sometimes thrown in for good measure). Schools are then expected to get their students to design, produce, rehearse and perform the act. So what are we hoping to change exactly? Well, broadly speaking the hope is that the excitement of performing in a positive environment can somehow inspire students to achieve more than they thought they could. Japan is no exception when it comes to needing to help young people. Government statistics and media reports on the school ‘refuser’ (toko kyohi), non-attender (futoko), class collapse (gakkyu houkai), youth suicide (jisatsu), bullying (ijime), acute social withdrawal (hikikomori), social-interaction and communication shortfalls ('KY'-syndrome/kuuki ga yomenai) and gang violence (oyaji gari/homuresu atakku) all show the need for alternative ways of addressing social issues. Inevitably, the immediate focus following the devastating earthquake and tsunami this month is on rescue, providing medical care, shelter and sustenance—the scope of the destruction and personal loss, after all, almost defies description. But there will eventually be a need to deal with post-traumatic shock syndrome and the psychological damage wrought on young people. ‘Who can I complain too? My face is hurting from smiling so much!’ was one comment I heard from a high school kid involved with the project. I hope that in the aftermath of this enormous crisis that we can help bolster the resilience of many more young people like this.